Why does royalty only marry those of the royal blood? 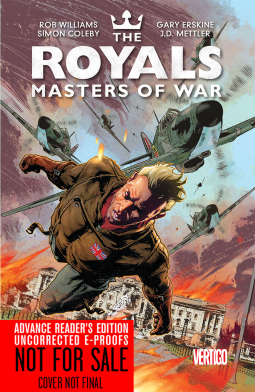 In this fascinating alternate history we find out that it is because the royals are super-powered. When they breed with other super powered people, it creates more people like them. So the royals of this world agree to never use their powers in battle. The will let the lesser people fight the wars. The creators use this background to show how World War II would have gone. Events go basically like it did in our world, until a British prince breaks the covenant. He cannot tolerate seeing the British attacked by the Germans and puts an end to it. This leads to all-out war between the royals. The combination of storytelling and art is perfect for this one. Highly recommended. It is one of my favorite reads of this year.